Be rewarded for drinking your favorite Lil' Ole Winemaker Wine! Join our case club and every bottle purchased at regular price counts toward your case. When you reach 12 bottles, you get the 13th FREE! No punch card or rewards card to keep track of - we keep track of your purchases in house. Visit us every Tuesday from 5pm - 7pm and enjoy select bottles of wine for a special price. Meet friends, old and new, and relax on our Wine Garden Patio, in the lounge or by the wine bar. 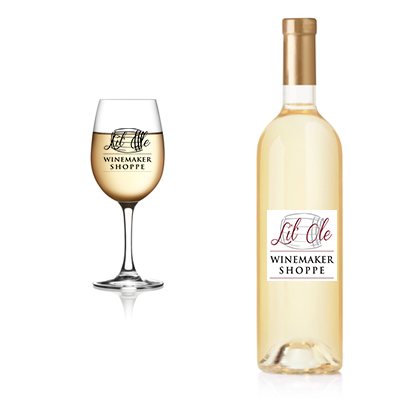 Delicious peach and apricot flavors are blended with the world's most popular white wine. Chardonnay contributes a subtle dryness and perfectly balanced acidity, with hints of its own citrus and fruit flavors. The result is refreshing and perfect for any occasion.